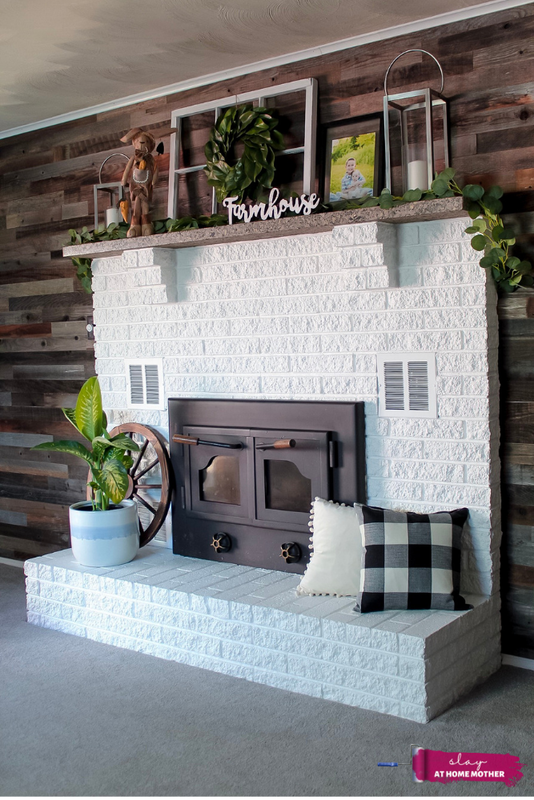 I painted our old brick fireplace for under $150! 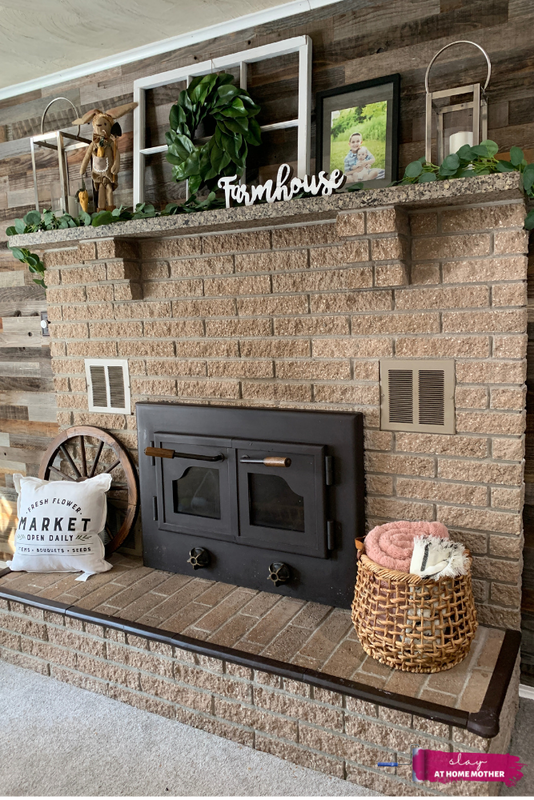 Read on to see how I managed to clean, prime, and paint our tan brick fireplace WHITE – all while on a budget, and print off my FREE paint can labels to keep your paint organized. My husband is such a doll. He really is – he is the most incredible and supportive human being I’ve ever met. But we don’t always agree. We are SO different, but we’re both alike in that we are incredibly stubborn and hardheaded. When he has an opinion, he is deeply rooted in those feelings and thoughts. When I have an idea, I am deeply rooted in accomplishing that idea. You might be able to see why that could cause a few arguments ;). When I told him years ago that I wanted to paint our fireplace, he was firm in his standing that he wanted to keep it as is. I knew it would look fantastic, though, especially after completing our reclaimed wood accent wall. 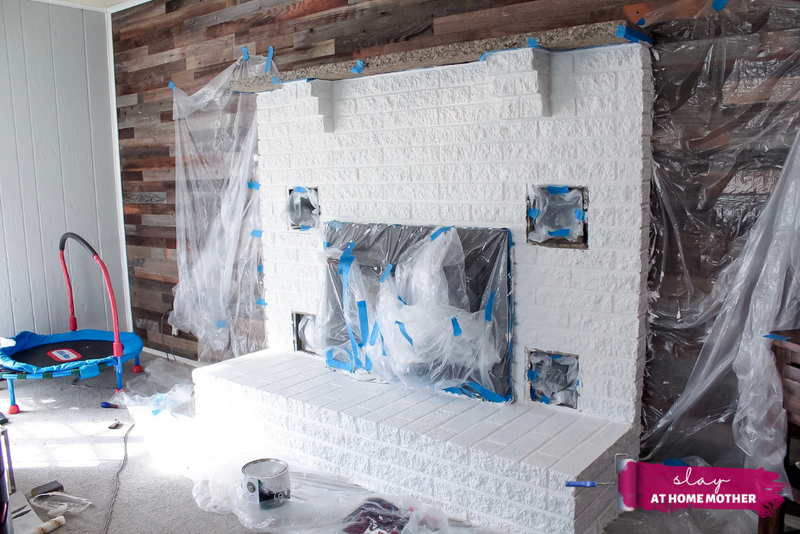 I dreamed of a white fireplace, but my husband dreamed of being done renovating our living room. I don’t blame him, DIY-ing can be a lot of work, and some projects are bigger than they seem. I lost many battles about painting the fireplace over the years – but I finally won the WAR. 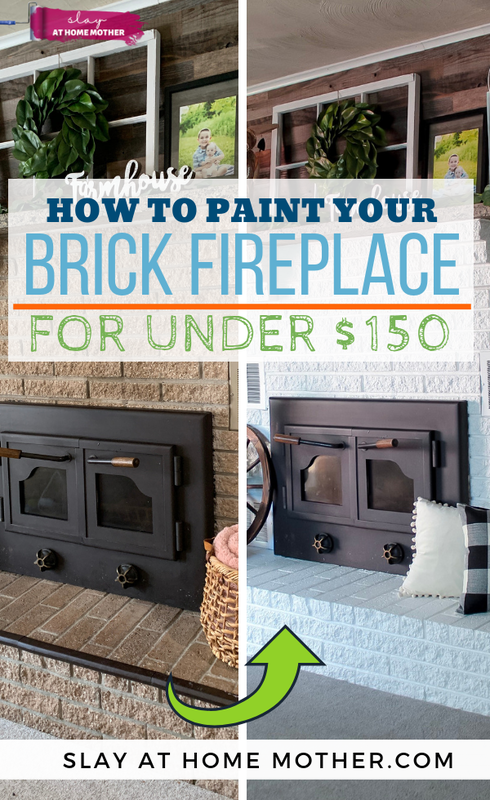 Now that we’ve finally agreed on painting the fireplace, I knew I wanted to figure out a way to do it on a budget – and I managed to pull it off for less than $150! 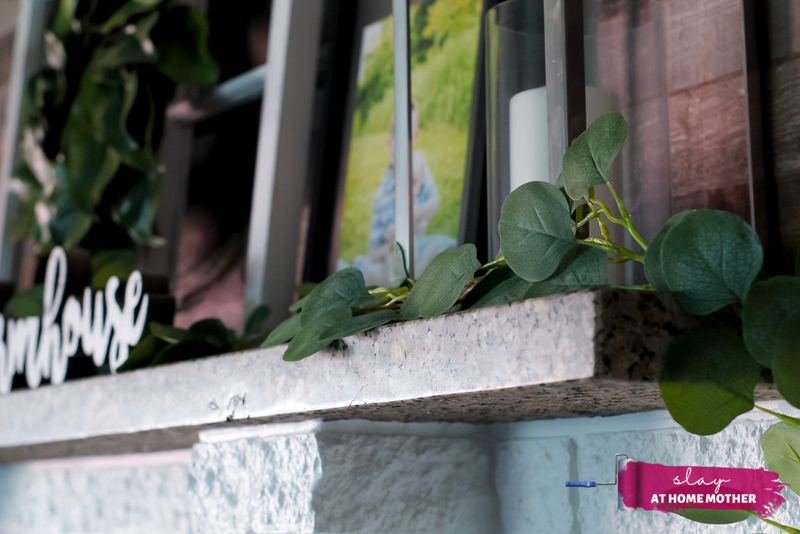 In this post, I’ll take you through the DIY project, tell you what materials you need, how much everything cost, and how to get this gorgeous DIY done the #slayathomemother way. I have to say – it is one of the best decisions I have made for our home. It is truly beautiful. I don’t think there was anything wrong with our tan colored fireplace – it was beautiful in its own right. But I wanted to update this space a bit, and have been itching for a white brick fireplace for years. I just felt that it was the right move to brighten up the room and tie everything in together. Plus, if you are at all familiar with my blog or have seen my living room refresh post, you’ll know that our living room was once all brown, from the furniture to the carpet and the walls. So, I have a certain disdain for the color brown when it comes to our home. I only like it in small amounts! Painting our fireplace white was the perfect way to breathe some new life into our home and created a way for everything else in the room to stand out. Also, the window across from the fireplace pours in light around the early afternoon, and our fireplace reflects that light around the room. So this room literally pours sunshine around! 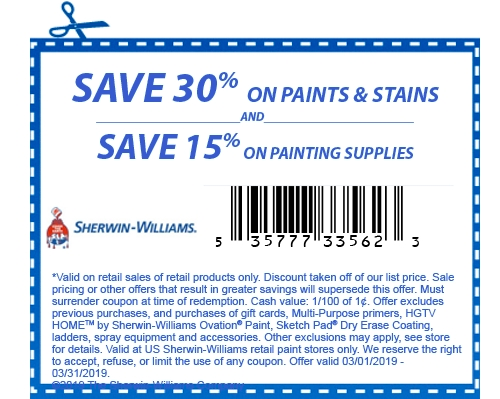 *This post is in partnership with Sherwin-Williams, a brand that I use and love, and contains affiliate links. How Much Paint Do I Need To Paint My Fireplace? How Do I Clean A White Painted Fireplace? What Paint Finishes Should I Use For My Fireplace? What Did You Use For Your Fireplace? Can I Run A Fan In The Room While The Paint Is Drying? Will I Need To Repaint My Fireplace Later? What Are Some Other Fireplace Paint Colors I Can Choose From? 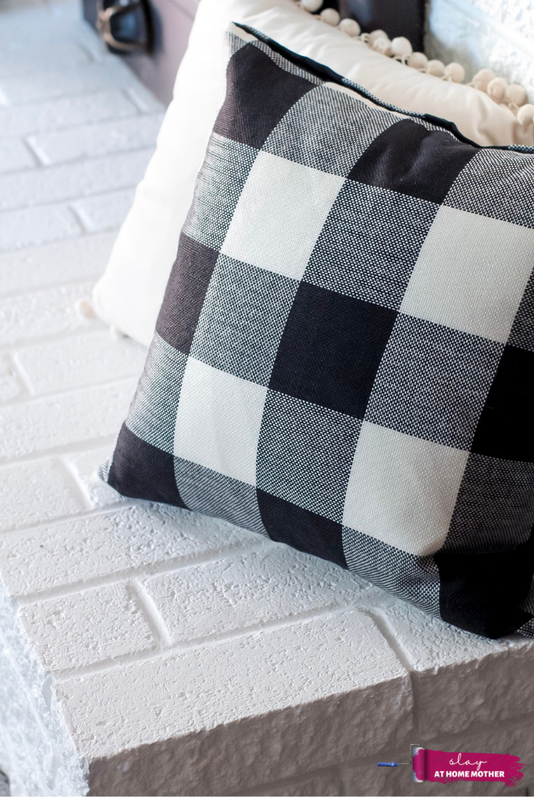 Where Did You Get Your Fireplace Decor? Full disclosure: this project took me 4 days to complete. I wish I could tell you I completed everything in ONE day like some other bloggers, but that’s very unrealistic. 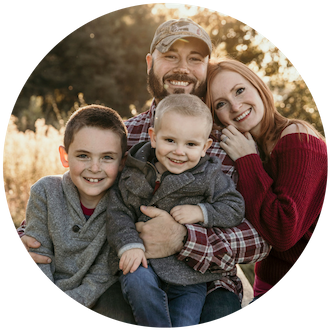 I’m all about helping you get things done RIGHT and ON A BUDGET! And truthfully, if you’re doing this RIGHT, it shouldn’t be rushed into one day. For the average person, this is a two-day project. 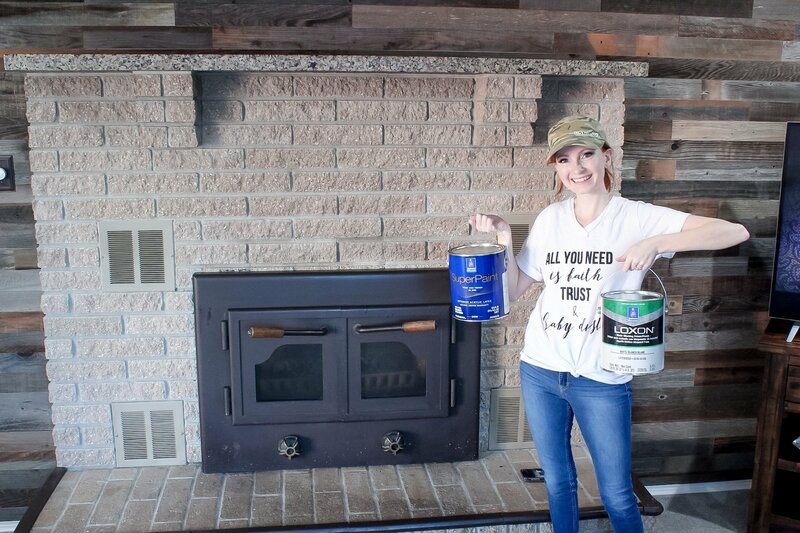 I say ‘two days’ because if you’re properly cleaning your fireplace and letting it dry before starting the painting process, you’ll need to actually give it time to dry. And depending on the amount of scrubbing you need to do and how wet the brick ends up being after cleaning and rinsing it, your drying time can vary from a few hours to about 16-24 hours. 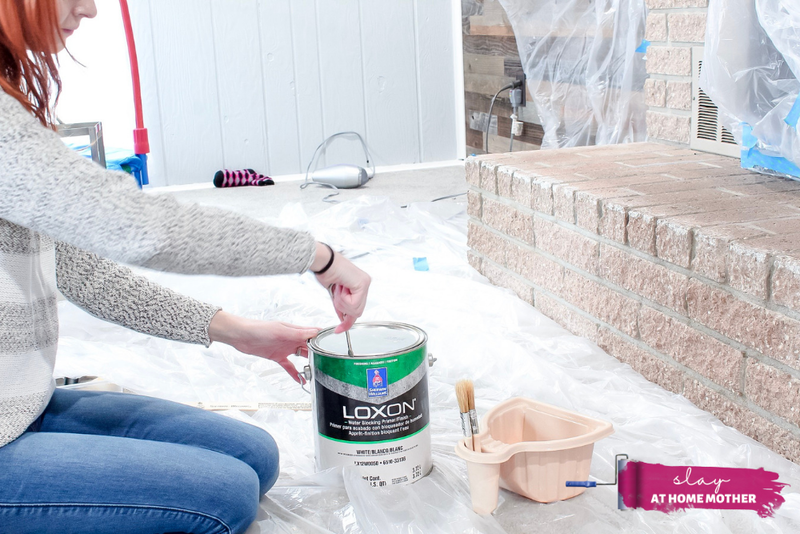 You can always speed up the drying process by opening up a few windows or running a fan in the room where your rinsed brick is drying, but you don’t want to paint wet brick ever. (3-4) 6″ 1/2″ Nap Rollers (here’s a nicely reviewed alternative). 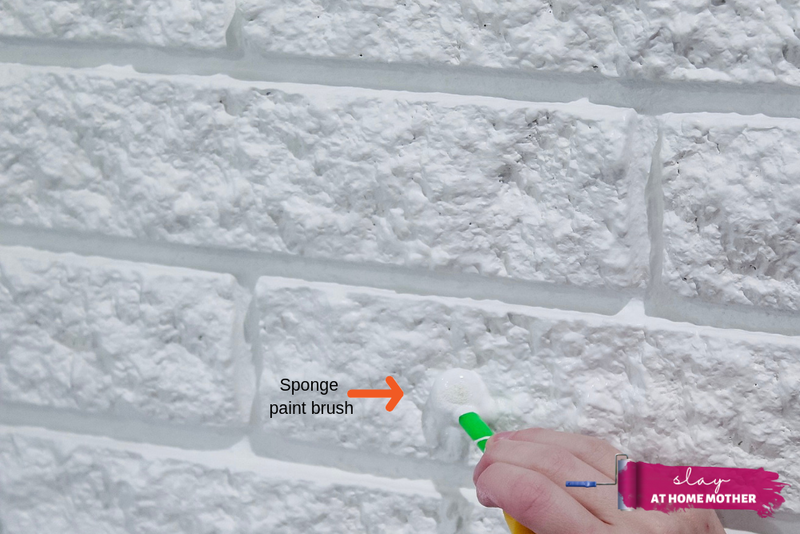 Before you start taping anything or cracking open your paint and primer cans, it’s important to clean the brick surface you are planning to paint. I used warm soapy water and a stainless steel wire brush. Scrub all areas of brick (pay special attention to sides of fireplace, around fireplace doors/opening, mantle supports, and grout lines). Rinse using water and a nylon scrub brush. Allow to completely dry before proceeding. 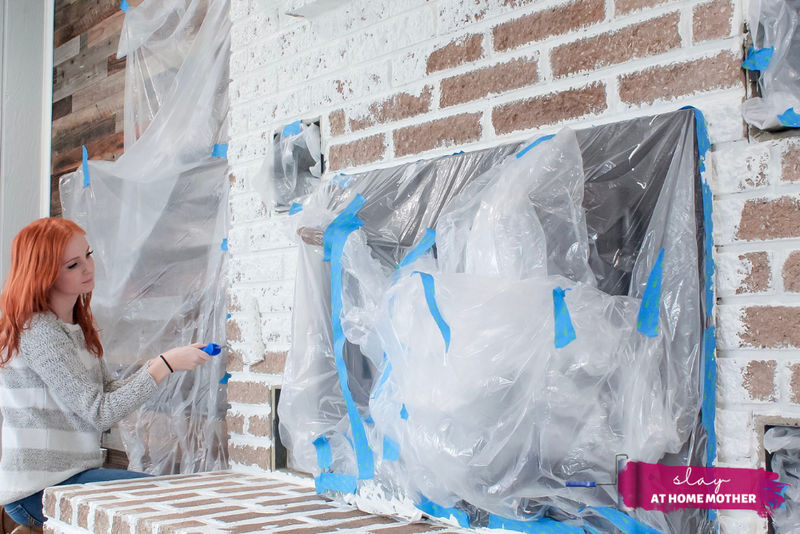 After allowing the brick to dry, take an industrial vacuum (like a Shop-Vac) and clean any leftover debris to ensure a clean surface for painting. Be sure to vacuum the floor around your fireplace as well. *I know some people automatically throw out the suggestion to use TSP to clean your fireplace, and you can use TSP (Trisodium Phosphate) to clean your brick fireplace, but I would attempt a mild dishwashing solution and warm water FIRST. Oftentimes, warm soapy water is all you need to clean your brick. TSP is an aggressive cleaner that can burn your eyes and skin. You would not want to use a bristle brush with TSP like I have mentioned in this post while cleaning with TSP because it would splatter the solution around the room and on you. Always wear goggles, a face mask, long pants and sleeves, and rubber gloves when using TSP, and follow the manufacturer’s instructions in their entirety. 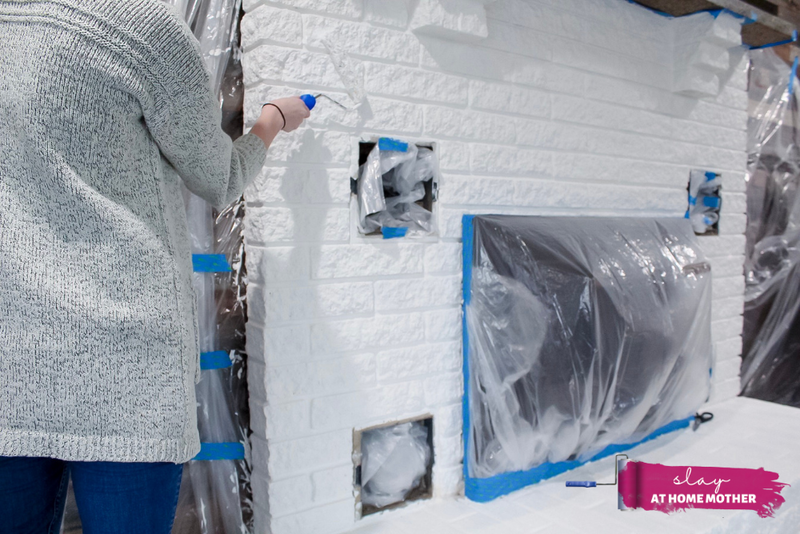 Before painting, you’ll need to tape off the surrounding wall, floor, and other areas (like the fireplace doors/opening) that aren’t going to get painted. I used clear plastic drop cloths and painter’s tape. 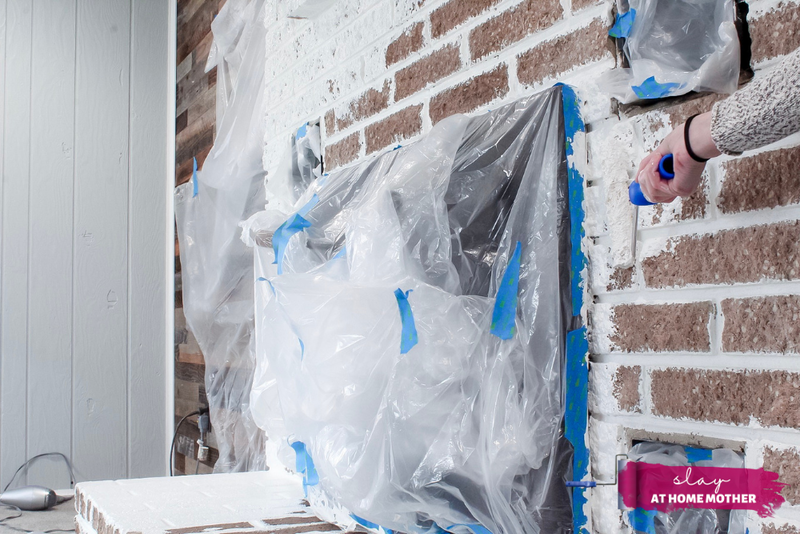 Be sure to remove all vents (if your fireplace has them) prior to painting. Because we have carpet in this room, taping the floor was a little tricky but not impossible. I placed the plastic drop cloth next to the fireplace and, using a flathead screwdriver, wedged the plastic in the groove between the fireplace brick and the carpet fibers to create a barrier. If you have carpet and are doing the same, be sure not to let the plastic bunch up next to the brick once it’s painted. Now that everything is taped up, it’s ‘prime’ time! 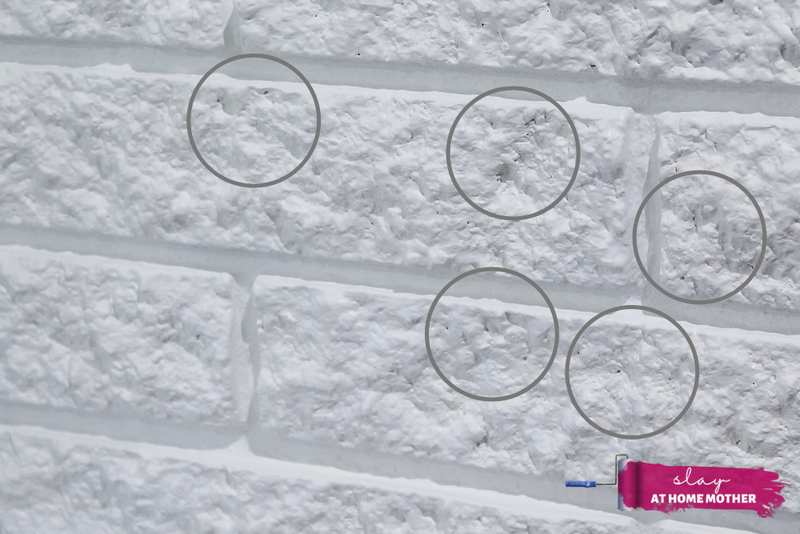 You should always prime brick before painting it because concrete and masonry is known to have a high pH level – which can cause adhesion problems when it comes time to paint. 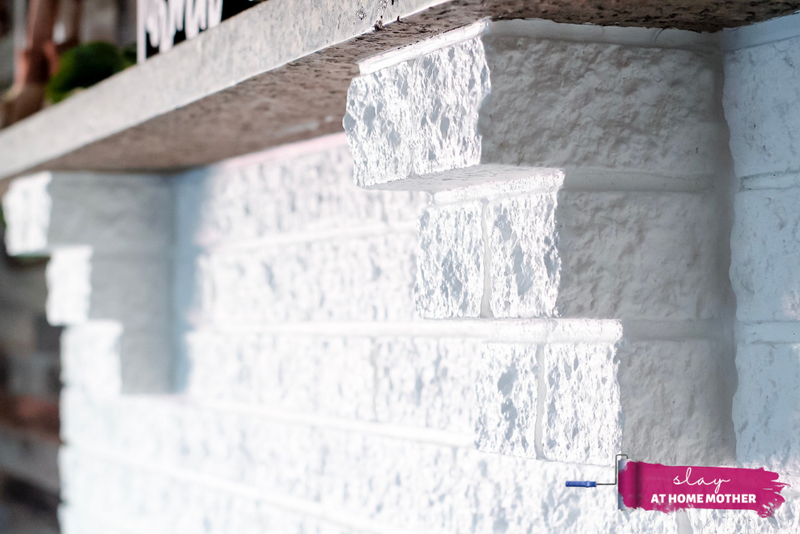 Priming is especially important when painting brick because the primer offers adhesion with alkali and efflorescence resistance for masonry surfaces. This basically means that the gallon of paint you’ve just purchased and lovingly rolled over your brick fireplace will probably not even stick, should you skip the primer! 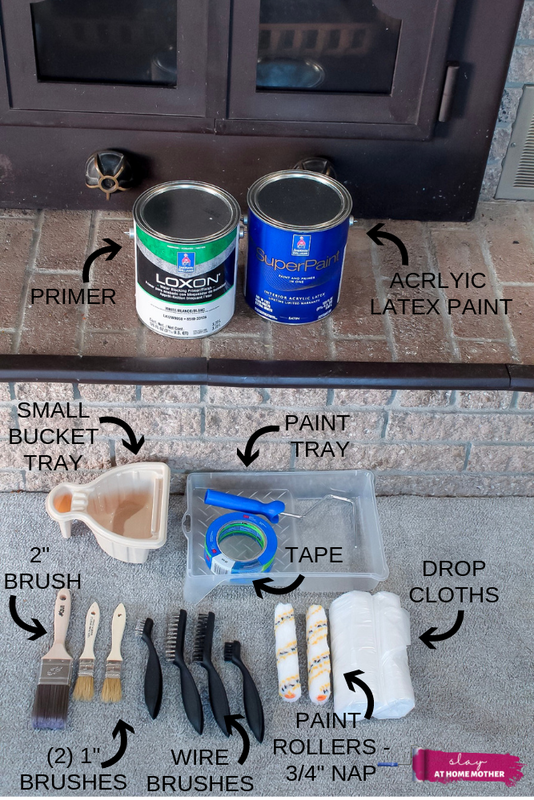 After speaking with the manager at our local Sherwin-Williams store, I decided to use Loxon Water Blocking Primer/Finish to prime our fireplace. This way, I could easily clean our fireplace (considering the fact that it would now be this beautiful WHITE beauty beckoning my children’s dirty fingers to touch) without worrying about moisture and preventing odors in our home. 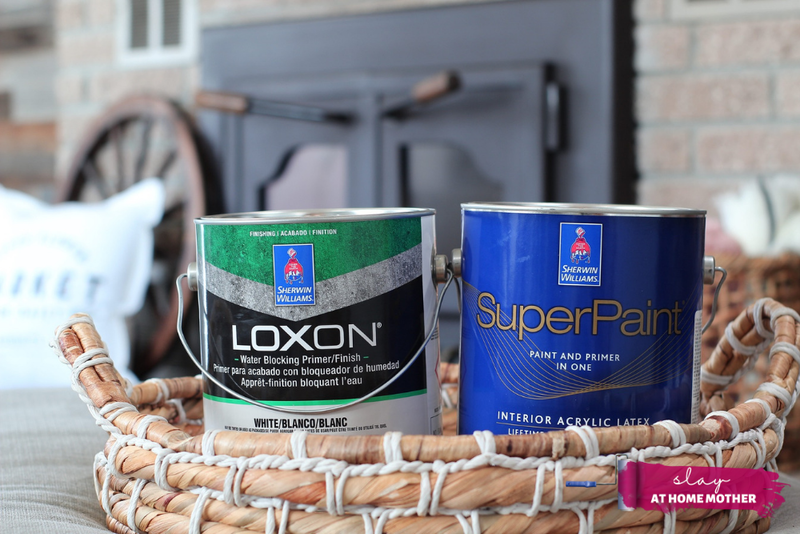 Loxon Water Blocking Primer/Finish from Sherwin-Williams also carries the GreenGuard Gold Certification for their low chemical emissions into indoor air during product usage, which is better for both our family and the environment. Using a 1″ paintbrush and a small bucket tray, fill the grout lines between the brick pieces. 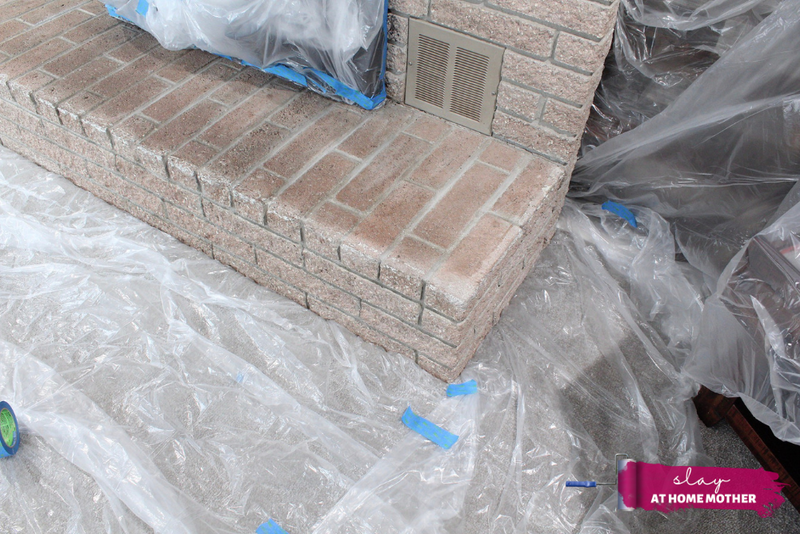 Once you have painted the grout lines, proceed with covering the brick with primer using a paint roller with 3/4″ nap. This nap on your roller is perfect for covering rough surfaces like brick and holds more paint in its fibers than a lesser nap would. Allow for plenty of time to dry between coats. I needed to do apply primer twice, but the primer dries pretty quickly so I was able to prime in one day during my two-year-old’s nap. Our brick was extremely rough, especially towards the top of our fireplace. 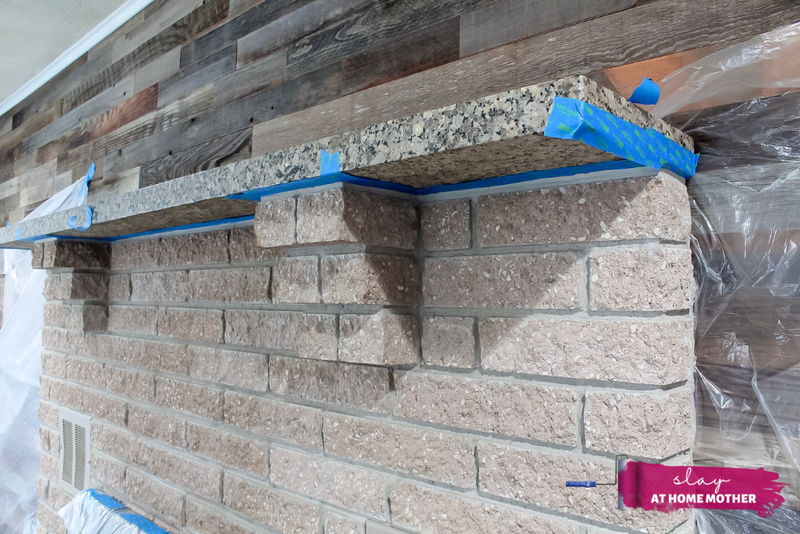 For this section of bumpy brick, I needed to take a 2″ paintbrush and apply a little extra paint to ensure those bricks were primed. The Loxon Primer created a smooth surface for the SuperPaint to adhere to and left a nice flat finish. I love that the Loxon primer is white because I could already see how our fireplace was going to look. I loved it already! The next day, during naptime, I came back to the fireplace ready to paint! For our fireplace, I chose the color Extra White (SW-7006). I loved both the color AND the name. I told my husband that now that he was going to let me paint our fireplace white, I was going to paint it ‘EXTRA’ white ;). I chose to use Sherwin-Williams SuperPaint Interior Acrylic Latex paint for this project – it dries fast and has excellent durability, which is what I needed for this project. 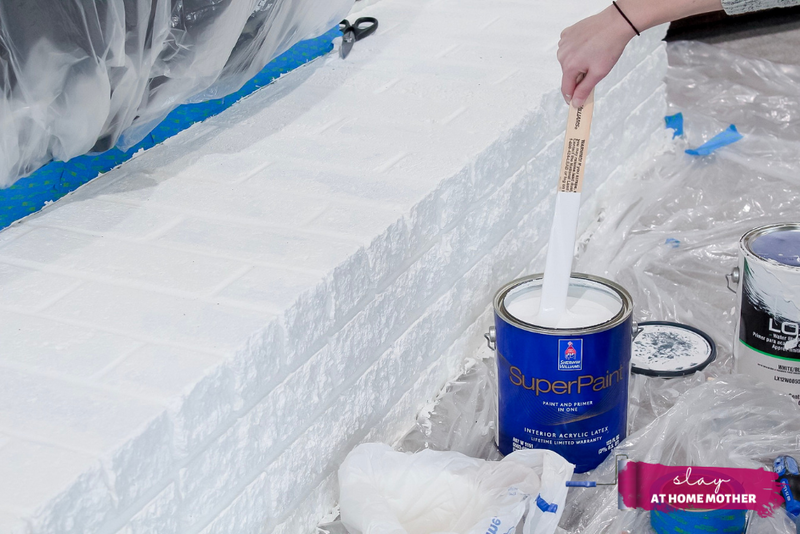 SuperPaint delivers a smoother appearance, which helps tremendously when you consider how rough and pitted brick can be. 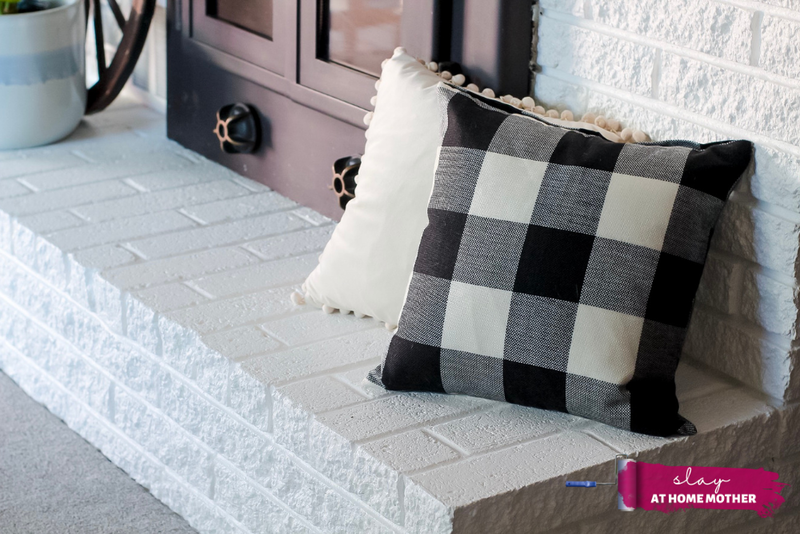 The manager at our Sherwin-Williams store also advised me that it can withstand excess temperatures, making it a great choice for a fireplace. It also has great scrubbability, which is ideal for a spot that will experience some soot marks from time to time! Just like I did with the Loxon Primer, I dipped a 6″ roller brush with 3/4″ nap into a paint tray with Sherwin-Williams’ SuperPaint in the color Extra White (SW 7006) and painted over our primed fireplace brick. I then used a 1″ paintbrush to cover the grout lines between the brick. 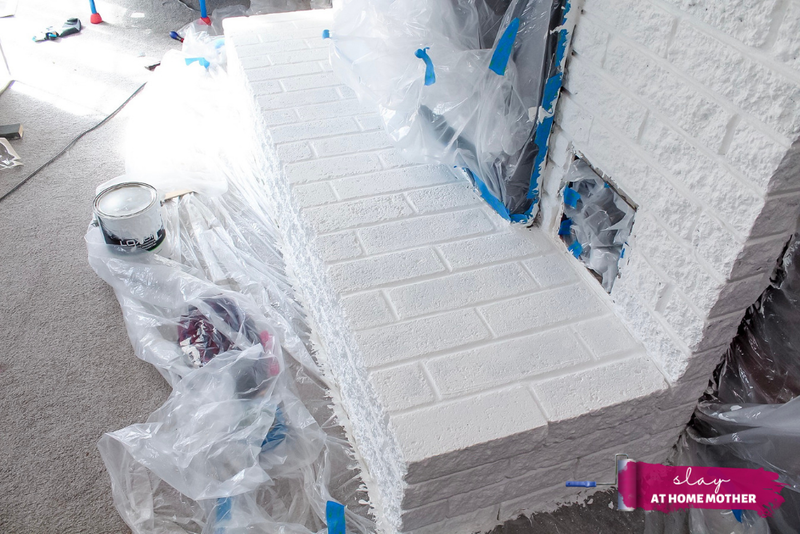 The SuperPaint adhered fantastically to our primed fireplace, leaving a beautiful satin finish. P.S. I learned a neat trick from my husband when it comes to painting! 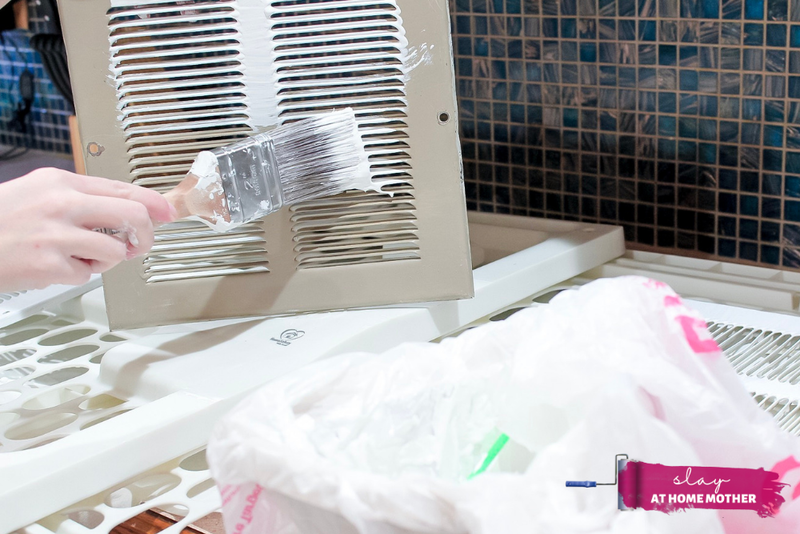 As an experienced painter, he told me that if I had a used tray of dried paint that I would still like to use instead of buying a new one, I could put a clean plastic shopping bag over the tray. The plastic shopping bag would act as a sleeve so I could pour new paint in and use the tray again. There were times I had to hold the plastic bag in place as I rolled excess paint off the paint roller, but it worked! 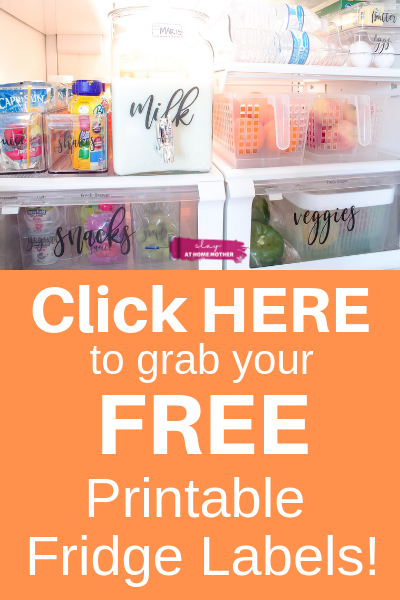 This is a great way to save a few dollars and an extra trip to the store! If your fireplace (or brick wall) is anything like mine, it has some seriously deep pits and groves! I struggled with all of my tools (1″ paintbrush, 2″ paintbrush, and 3/4″ nap paint roller) to get the paint in those pits and grooves. It was a little more challenging than I’d like to admit. This wasn’t because of the paint quality, but because my ’50s style fireplace brick had very deep pits and grooves and required some special attention. I came up with the perfect solution using a tool I had on hand that seemed to do exactly what all the others wouldn’t. A sponge paint brush! I use these with the kids when we make dots with paint on construction paper for Easter, or when we are just painting and a project calls for round dots. I dipped the sponge brush into the paint and simply dabbed it into the pits that the brush bristles couldn’t reach before. Worked like a charm! Now that the fireplace is painted and drying, it’s time to wash and paint the vents! Because our fireplace is a heaterator (which means it can push heat generated by a fire out into the room through vents), it has four total vents. The bottom two vents cover motors that help move the heat from a fire up to the top two vents that let the heat out into the room. 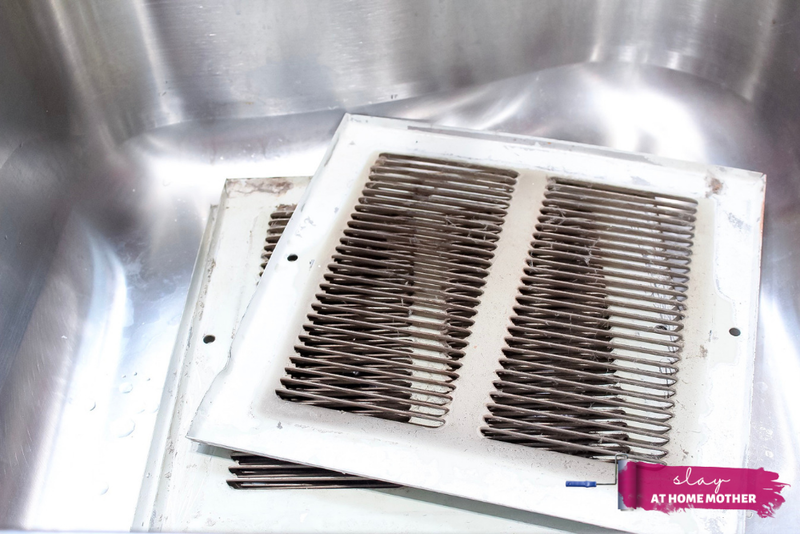 Although we don’t regularly use our fireplace or the heaterator feature in our home, the vents still collect some dust bunnies and need to be cleaned, especially before painting. Our vents had been previously painted a tan shade by our home’s original owner to match the fireplace. Although I debated painting them a darker color to match the fireplace doors, I decided to paint them the same color as our fireplace. Before I could paint them, I needed to thoroughly clean them. I scrubbed the vents using a regular sponge but decided to take a spoolie brush to the vent slats to get the excess gunk out that the sponge just couldn’t reach. 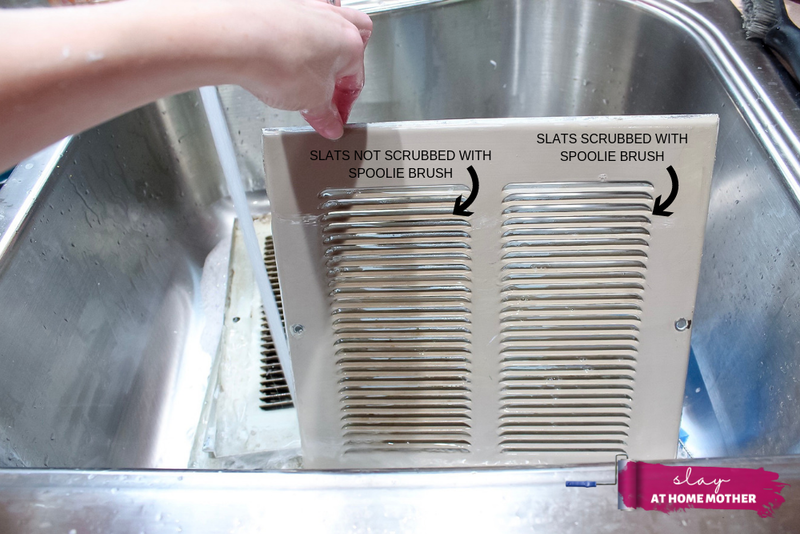 In the picture above, the right side of the vent has been scrubbed with both the sponge and spoolie brush (and has some suds in the slats that you can see), whereas the left side has only been scrubbed with a sponge and still has gunk within the slats. I highly recommend scrubbing with a spoolie brush or straw cleaner to get slats clean if you have to paint vents like I did! As the picture above shows, there’s a huge difference, and how clean the slats are will impact how well the paint sticks to the vents. Without having a drying rack available to me, and with the weather being all of 20 degrees outside in the middle of March here in Michigan, I had to get creative. I laid down a few rows of paper towels over our stove and counter, laid an old white baby gate on top of them, and got to painting our vents! To paint our vents, I waited until they were dry from cleaning them, and brought out my 2″ paintbrush. I first swiped the bristles across the slats, and then brushed them in a back-and-forth motion to ensure coverage. After painting the slats, I painted the rest of the vent cover, brushing in one direction so there weren’t any visible paint strokes. To completely cover the vents (being such a dark tan color compared to the Extra White SuperPaint color), I painted three light coats, allowing plenty of drying time between coats. I would say it took me about an hour to do all four vents. Once the vents were completely dry, I placed them back onto my dried fireplace, screwed them in, and lightly dabbed some SuperPaint over the tops to blend in the color of the screws (which were previously painted tan like the vents). I’m just THRILLED with how our fireplace turned out! It completely transformed the look of the entire room, and brightened everything up! This room is getting all the attention it deserves now – painting our fireplace makes everything in the room stand out now, from the fireplace doors to the surrounding reclaimed wood wall! 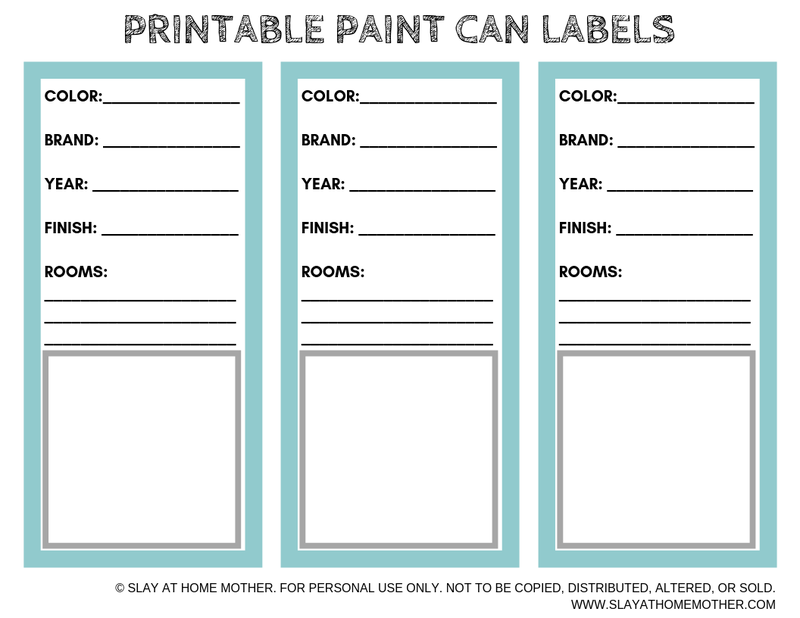 To help you organize your used paint cans after a big project like this, I’ve created these free printable paint can labels! If your paint cans look anything like mine after you’re done using them, you probably can’t read the paint type, brand, color, or finish on your cans because they’re covered in paint! Just print these labels off onto a full sheet sticker label (like this one), and simply cut each label out. Apply to your paint can, and fill in the blanks! There’s even a little square on the bottom of the label where you can swipe some paint on so you can see the color of the paint. I used one gallon of primer and one gallon of paint. If you’re wondering how much paint you’ll need, Sherwin-Williams has a neat paint calculator that you can use on their website. Simply input the height and width of the area you plan to paint, and the paint calculator will tell you how much paint you’ll need! I would suggest getting a little more than you think you need. 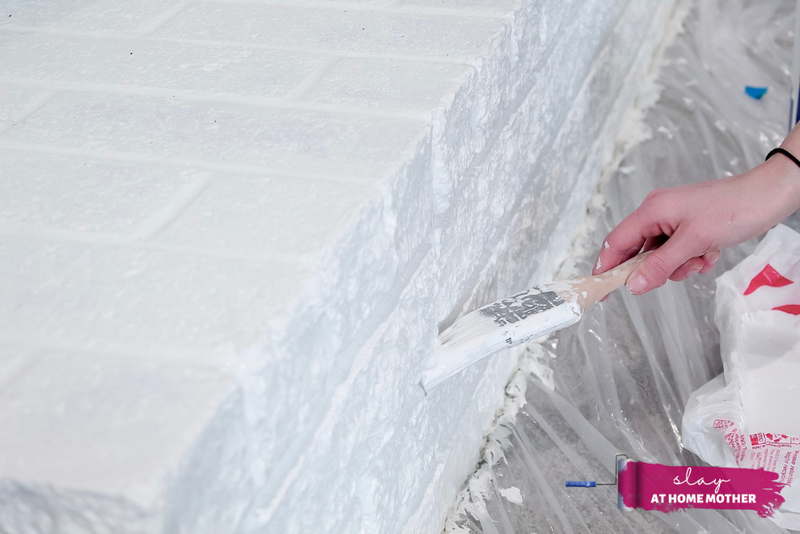 When it comes to painting brick, you may find that you need more than just one or two coats of paint to completely cover the space, depending on factors like the original brick color, how well it’s been cleaned prior to painting, and any future touchups you may need. BTW – Sherwin-Williams’ SuperPaint has excellent hide (or opacity), meaning you can make gorgeous color changes to your home or DIY project using less paint! If you are trying to remove soot, you can get creative and use silly putty! Stick your child’s silly putty to the fireplace soot to pull it away from the brick. If that doesn’t work, some warm soapy water and gently scrub with a soft rag. This works great for dirty fingerprints, too. If you happen to have any leftover paint from your project, consider other projects you can do! I always love using extra paint when I am feeling crafty – you can use extra paint to make signs for your home or refresh an old flower pot or dresser. I always like to keep a little extra in case a big mishap happens (like a hard toy getting scraped against a wall or if something hard should get dropped on or drug across our fireplace), so I have some paint for touchups. I’ll be using the little bit of SuperPaint I have leftover from this project in my linen closet refresh (coming soon!). I used a satin finish for our brick! When it comes to fireplaces, you don’t want your paint finish to be glossy because it looks VERY unnatural and creates a plastic-y sort of feel. 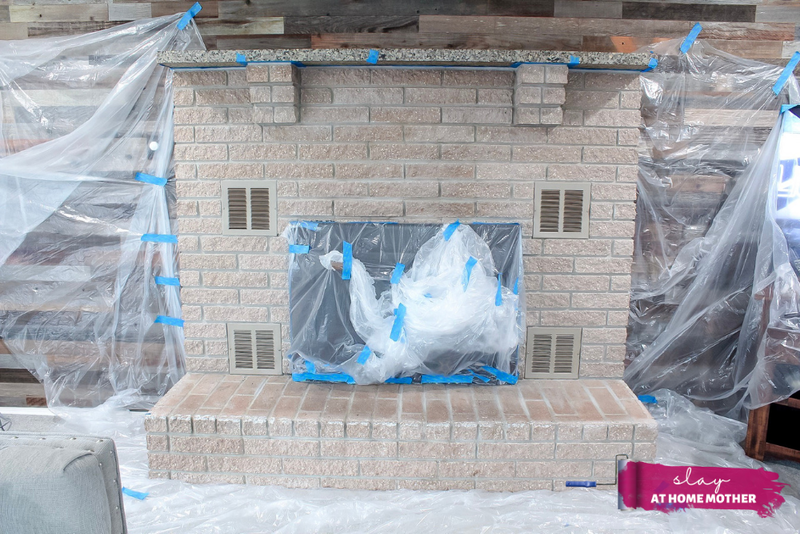 Consider a satin or flat finish for your brick fireplace. I would only recommend running a fan in the room while your brick is drying after cleaning, not after painting. My reasoning for this is because if you have any dust or dirt in the room, and turn on the fan while you have wet paint (particularly if the paint is a bright color like white), you risk spinning any invisible dirt around the room and having it land in the wet paint! If you’ve cleaned, dried, primed, and painted correctly, then no! Sherwin-Williams’ SuperPaint is also covered by a Limited Lifetime Warranty. 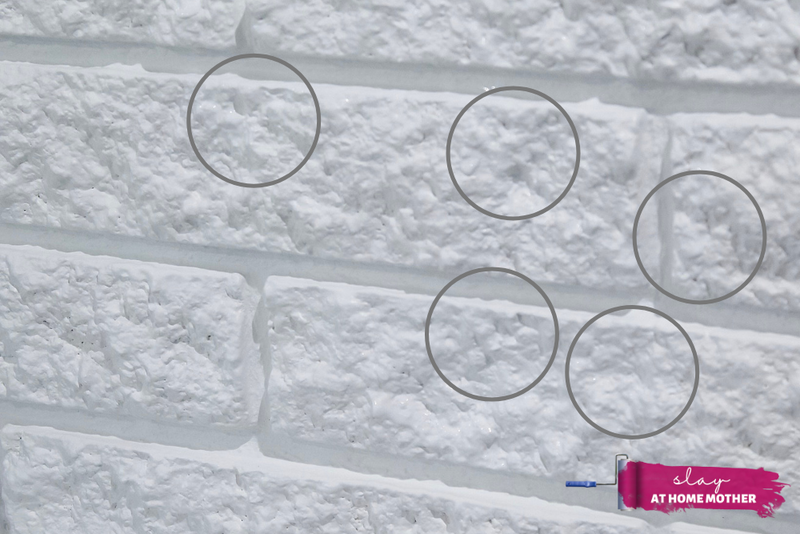 White: Extra White (SW 7006) – USED IN THIS POST!